It has been announced by the energy industry watchdog Ofgem that we can expect UK energy supplier profits to increase again this year, despite announcing a drop in the price of their standard tariffs. 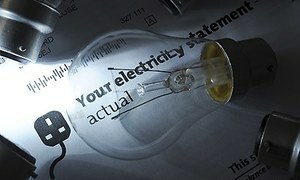 Ofgem has estimated that energy consumers can look forward to an average price cut of £21 over the next year. But, with the wholesale price of gas falling by more than 50%, and suppliers earning around £114 per customer, the question is now being asked if the suppliers have done enough to cut prices for consumers? According to supplier reports, the reason for the minuscule price drops are that many more costs can be attributed to the consumer’s price for energy, such as network charges, the cost of meeting environmental and social obligations, and the companies' own operating costs. However, with wholesale fuel prices being attributed to a whopping 44% of the total cost of a consumer’s energy bill, industry experts are criticising the big six for not making bigger cuts at the start of the year. It is clear that the big six feel they are being unfairly tarnished in light of the falling wholesale price of gas, but by claiming Ofgem’s figures are "outdated, statistically biased & inaccurate", it appears there remains some long term turmoil between suppliers and the industry watchdog Ofgem. If you’re sick of waiting for savings to be passed onto you by energy suppliers, why not see how much you can save by switching with our energy comparison page.